Offer Digital Investigations to your clients. Be a 21st century P.I. Go digital. With the massive expansion of digital devices in our lives, modern private investigators must add to their resources the ability to follow a digital trail and analyze digital “footprints.” Indeed, having such capabilities may determine how well you can serve your clients. Digital Forensics Corp can help you successfully find, follow and document the digital trail of your subjects. Are customers calling and wasting your time? SEND THOSE DEAD LEADS TO US AND YOU CAN BE EARNING $500 OR MORE EVERY MONTH. Digital forensic evidence is a powerful tool for today’s private investigator, just like a DNA testing for a prosecutor trying to win a murder conviction. The scientific precision and accuracy of forensics can help prove or disprove a crime or alleged activity as surely as a DNA match. Like DNA, the data found on various electronic devices contains code that, once unlocked, can answer questions with a remarkable degree of certainty. Digital artifacts from messaging, texts and social media can provide a surprising level of detail about a subject’s motivations, attitudes and activities and that can help shine a light on covert behavior. Our skilled forensic examiners can also recover data from damaged or non-functional devices and even recover intentionally deleted or hidden files, texts, instant messages or emails. We specialize in recovering digital evidence for private investigators. We can uncover the proof your clients seek, document it and brand it for you, often reducing or eliminating the need for tailing subjects or for setting up time-consuming stake-outs. All of our labs are located in specially insulated, subterranean facilities, to ensure that no network or cellular signals can penetrate the lab walls and communicate with devices once they are securely checked in. 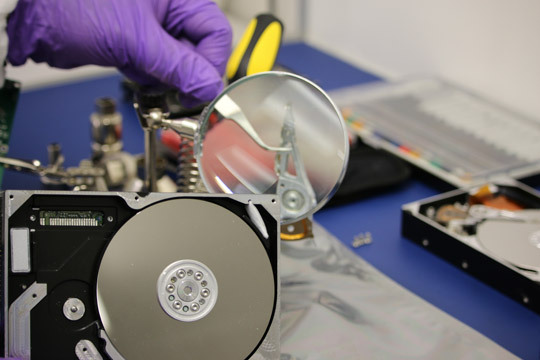 DFC’s high-volume dedicated forensics labs have each been equipped with hundreds of thousands of dollars worth of forensics hardware and software, which are evaluated and updated every few months to keep up with rapidly evolving technology and encryption. Our highly skilled engineers and examiners are required to undergo continuing professional development and immerse themselves in the industry news and developments. With over a million dollars invested in 2014 alone, our research and development department is on the leading edge of forensic advancements, developing new technology to serve the industry in new and better ways. Because we are experts and thought leaders in our field, working with DFC ensures that you are getting the best forensic service available.